Looks like a huge cake… great picture! It does seem really big! Yes, it does seem large. I wonder if it is the angle of the shot? 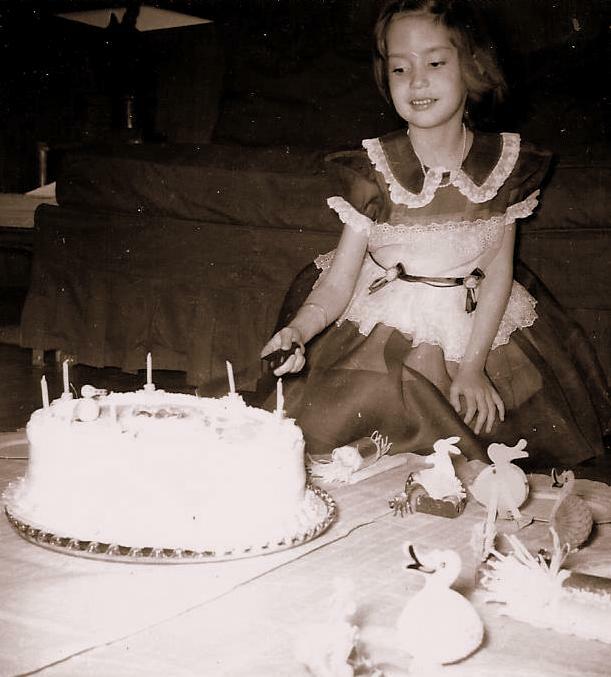 Anyway, back in the 1950’s, it was typical to have large birthday parties, inviting all the kids in your class from school.